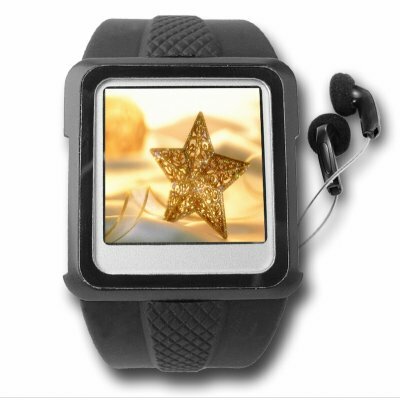 Successfully Added Original Watch MP4 Player 1GB Black - 1.5-inch Screen to your Shopping Cart. Digital watch with a 1.5 inch full color video screen and 1GB of flash memory. You can use this beauty to view your favorite videos, listen to MP3 music, look at your favorite digital photos, browse t-text files, or even as a USB style flash drive memory stick. Looks cool!!! This watch has highly advanced tech... I liked its all features && starage capacity +++ 7 hrs of listening songs. Thats so awasom. looks good,have to see the working.Have not mentioed its pixels $ usb port.